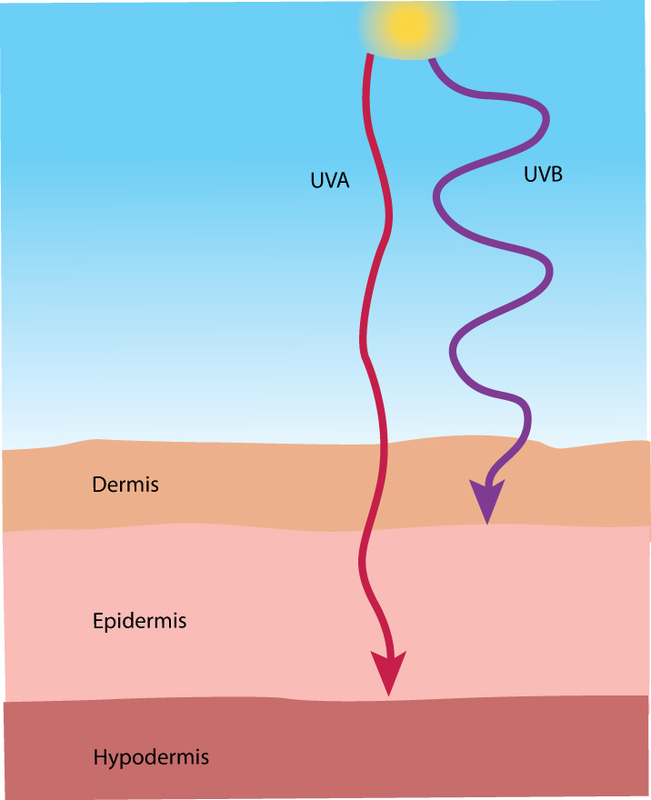 FACT CHECK: UVA VS. UVB RAYS, WHAT’S THE DIFFERENCE? When it comes to sun protection, there are two types of UV rays to be aware of—UVA and UVB. But what’s the difference between the two? On average, most people have already been exposed to large amounts of UVA rays throughout their lifetime. Though less intense than UVB rays, UVA rays are 30-50 times more prevalent and are present during all hours of daylight—even on the cloudiest of days—making it necessary to incorporate SPF protection into your daily routine. Wrinkles and sunspots are largely caused by UVA rays. Able to penetrate glass and deep into the skin, these rays speed up the aging process and contribute to (if not initiate) the development of skin cancers. UVB rays cause sunburns and redness. While UVA rays penetrate beyond the superficial layers, UVB rays damage the skin’s surface layers. Their intensity differs depending on time of day, locale, forecast, and season, but still hold potential in causing sun damage. These are the rays responsible for darkness of skin pigmentation, age spots, and tumors that may ultimately evolve into cancer. Any questions? Shoot us an e-mail or ask in the comments below! So do most sunscreens protect from both uva and uvb rays? Unfortunately, some do not. Always check the label to make sure!